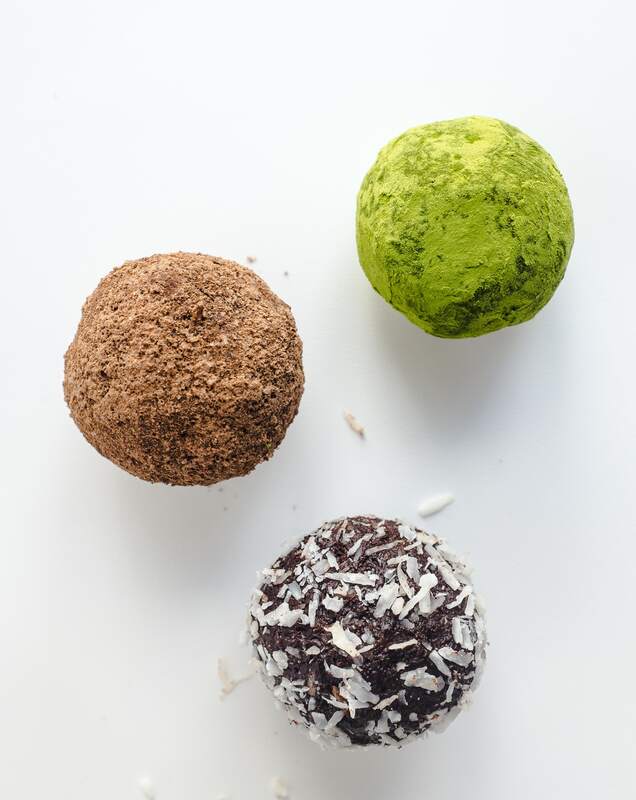 MAKES ABOUT 20 TRUFFLES Without gluten, dairy, or refined sugar, these luscious little balls are pure in flavor and downright delicious. They’re also heat-sensitive, so keep them in the ‘fridge until you’re ready to eat them. 1⁄2 teaspoon salt. Knead the mixture with your hands until fully combined, then shape into heaping tablespoonful balls and roll in cocoa powder, matcha (green tea powder), or shredded unsweetened coconut. Want more recipes like this one? Get a print or digital issue of GFF Magazine here!